J.R.R. 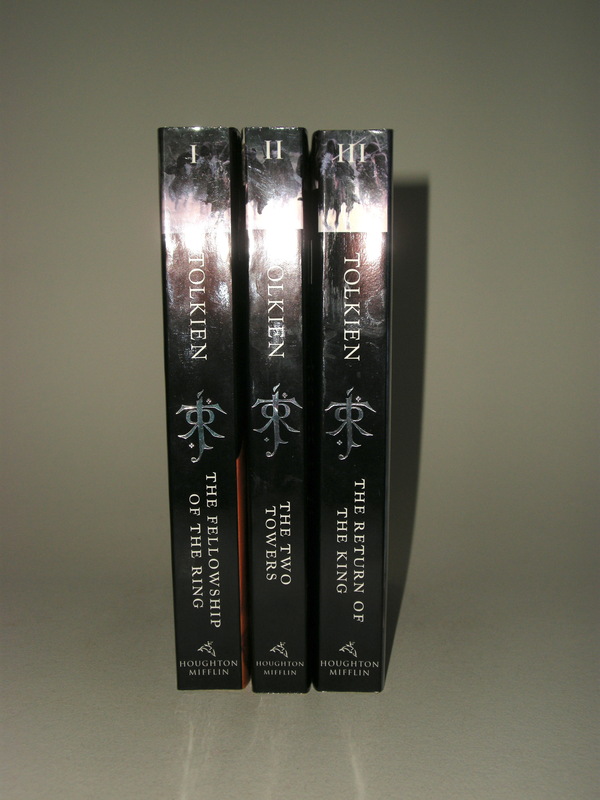 Tolkien, The Lord of the Rings movie tie-in edition released in 2001 by Houghton Mifflin. The Fellowship of the ring has ISBN 0 618 12903 0 and published by Houghton Mifflin in 2001, 2nd impression. 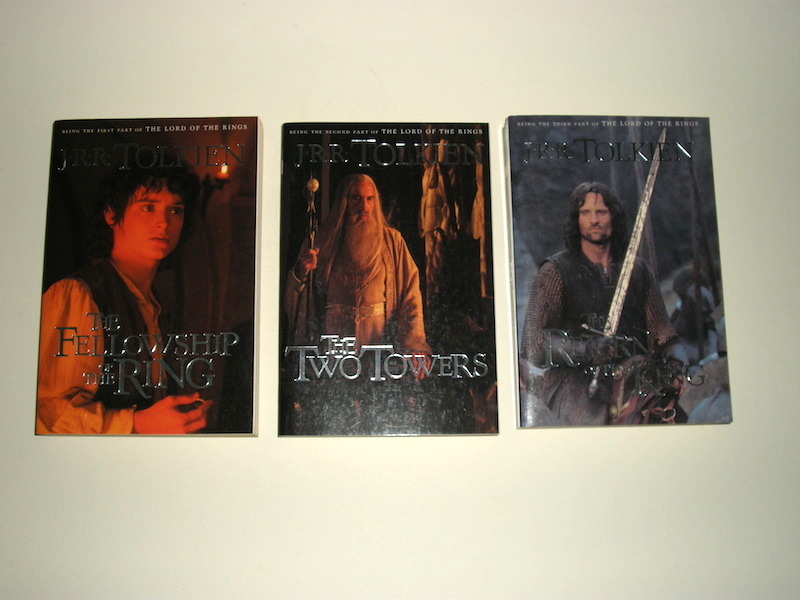 The Two Towers has ISBN 0 618 12908 1 and published by Houghton Mifflin in 2001, 2nd impression. The Return of the King has ISBN 0 618 12911 1 and published by Houghton Mifflin in 2001, 4th impression. Title and author stamped in silver foil. 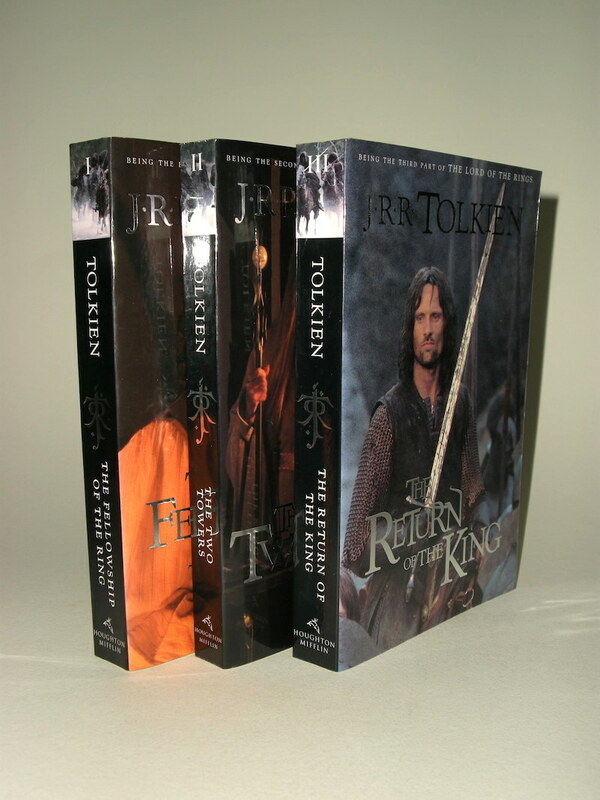 This set has been published in this form in a slipcase, using an image of the black riders (with ISBN 0 618 15396 9). These paperbacks are in new unread condition.